Hydrothermal treatment (HTT) of sewage sludge (SS) with pig manure biochar (PMB) addition at 160–200 °C was conducted in this study. The effects of PMB addition on the dewaterability of SS and the speciation evolution, leaching toxicity, and potential ecological risk of heavy metals were investigated. The results showed that the solid contents of the filter cakes after adding PMB increased from 20.24%, 24.03%, and 28.69% to 21.57%, 27.69%, and 32.91% at 160, 180, and 200 °C, respectively, compared with traditional HTT of SS. Furthermore, PMB could reduce the bioavailable fractions of Cr, Ni, As, and Cd in the filter cakes obtained at 160 and 180 °C compared with the theoretical value. 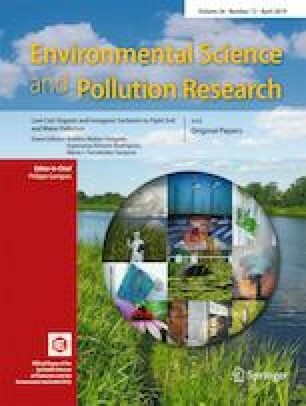 The leaching toxicity of heavy metals in the filter cakes after adding PMB decreased significantly at 160 and 180 °C and the potential ecological risk index (RI) declined from 62.13 and 44.83 to 55.93 and 42.11, respectively. The obtained filter cake had low potential ecological risk when used in the environment. The mechanisms on the improvement of the dewaterability and heavy metals immobilization were related that PMB acted as the skeleton builder providing the outflow path for free water and implanting heavy metals into SS structure. And the optimal results were obtained at 180 °C during HTT of SS with PMB addition. This work provides a novel and effective method for the treatment of SS. This work was supported by the Strategic Priority Research Program of the Chinese Academy of Sciences (XDA23020500), the Natural Science Foundation of Fujian Province (2019J01135), the China-Japanese Research Cooperative Program (2016YFE0118000), the Industry Leading Key Projects of Fujian Province (2015H0044), the Scientific and Technological Major Special Project of Tianjin City (16YFXTSF00420) and the Key Project of Young Talent of the Institute of Urban Environment, Chinese Academy of Sciences (IUEZD201402).